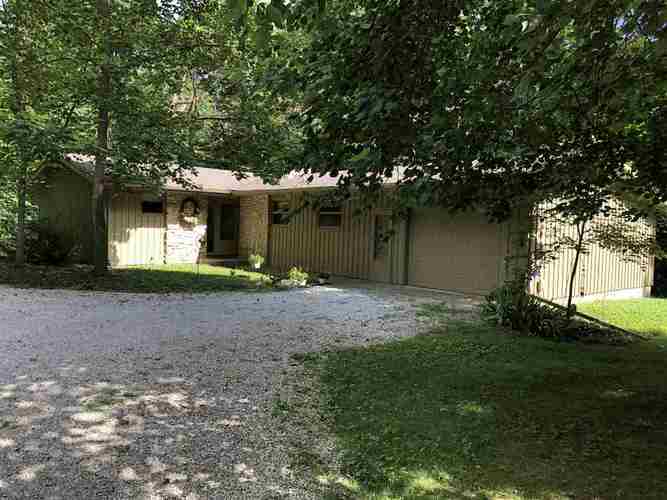 Secluded location just across the street form Westwood Park, 5.67 wooded acres features a 4 bedroom walkout cedar sided ranch with a 37x27 party/storage barn (could be the ultimate man cave) and a 5 stall horse barn with feed room and tack room located within the New Castle School System. Custom kitchen designed by Spiceland Wood Products, remodeled in 2008 includes all Maytag appliances. Dining room with built-in cabinets. Enjoy the solitude in this home with an amazing view of wildlife and nature. Rear of the home has southern exposure with a wooded two story deck and screened porch. A well maintained home that could be all yours.